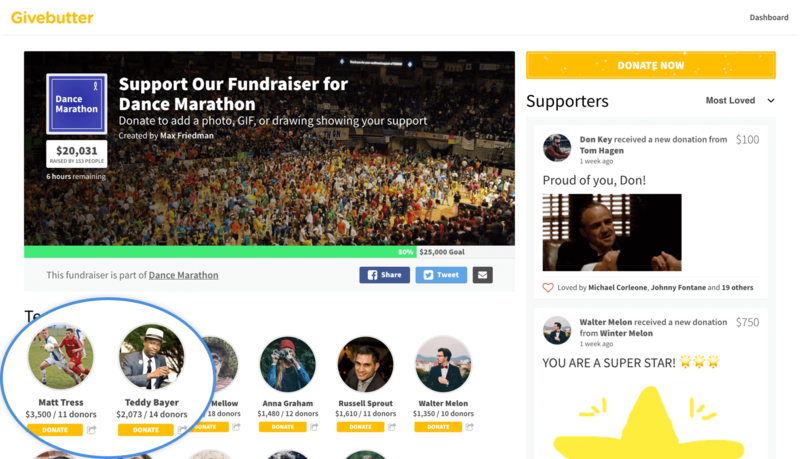 Leaderboards are a key component in fostering friendly competition amongst team members, which is often one of the most important elements of successful fundraising campaigns. To help level the playing field, we factor in not only how many dollars members have raised, but the number of donors they've gotten as well (# donors * $ raised = leaderboard score). So someone who raises $1,000 from 2 donors would be ranked the same as someone who raises $200 from 10 donors. If you'd like to change how leaderboard standings are calculated (i.e. sort by amount raised), please contact us.